Pop popcorn. Place popcorn in a large bowl. Drizzle melted butter over popcorn and stir. 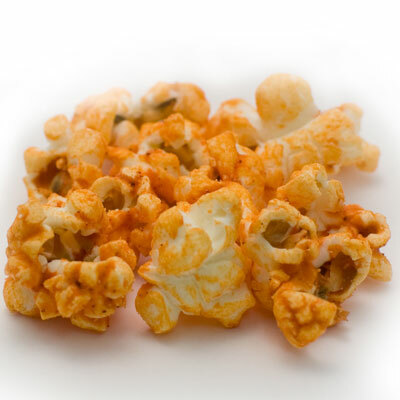 Combine cheddar cheese powder, mustard powder, cayenne pepper, and sprinkle over buttered popcorn. Season with salt and pepper, to taste, and toss to combine. Serve immediately. Don't want it so spicy for yourself or the kids??? Just sprinkle with MacYourself Cheddar Cheese Powder.